Orchid flower light blue! A real Maine lobster buoy! Check this out! Light blue orchid 5x11 buoy indoor and outdoor gloss Great gift for the flower lover! 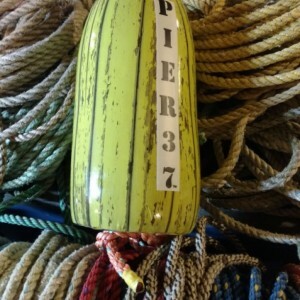 Recycled rope from Maine!